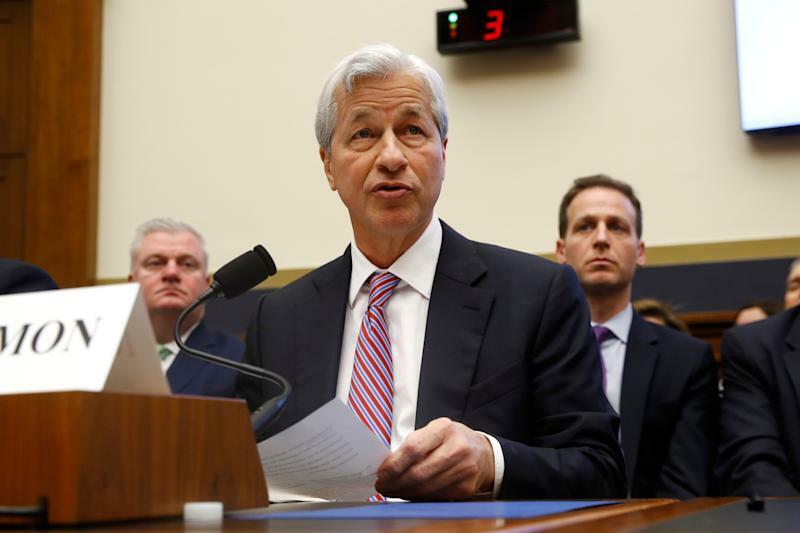 JPMorgan Chase's (JPM) CEO Jamie Dimon came under intense questioning on Wednesday over the bank's relationships with gunmakers, and was asked if he’d consider implementing a formal policy limiting that business — as some of his peers have. During a House Financial Services Committee hearing with 7 of the most prominent U.S. bank CEOs on Wednesday, Rep. Carolyn Maloney (D-NY) publicly thanked Citigroup (C) and Bank of America (BAC) for "[stepping] up to the plate" by adopting formal policies limiting business with certain gun industry clients following the Parkland school shooting. However, Maloney’s tone shifted when she directed her questions to Dimon. The congresswoman referenced Dimon's widely read annual letter released last week in which he wrote about JPMorgan having to sometimes turn down clients “with low character” as a way to be a “responsible” bank. Maloney used excerpts of the letter to grill Dimon, saying that "actions speak louder than words on guns...[and] from what I can tell, these are just words to you." Gun manufacturers have come under withering public scrutiny and legal challenges amid a spate of mass shootings in the U.S. Defending the industry, Dimon stated that “they are the same gun manufacturers that make military equipment for the United States military and for the United States police force, which we hold in the highest regards." He added not only does the firm conduct a thorough review of retailers selling firearms, but the ATF also audits these businesses and they are regulated by the state and federal government. "If we think they are doing something wrong, our risk committee stops doing business with them," Dimon said.